Smartphones are now more popular than conventional mobile phones among the U.S. adults, according to a study released on Thursday, confirming a trend of aggressive spread of these “pocket minicomputers”. 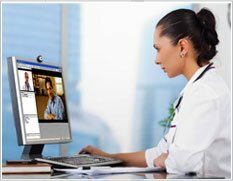 Seven percent of U.S. physicians use online video conferencing to communicate with any of their patients, according the new Taking the Pulse study of physician digital adoption trends from pharmaceutical and healthcare market research company Manhattan Research. 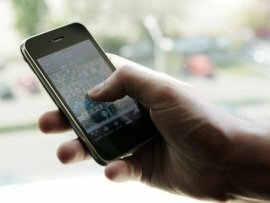 A growing number of UK broadband users plan to start using VoIP in their homes, according to research. The study by consultancy Booz and Company found that 44 per cent of consumers plan to use VoIP in the next six months. Smaller than a notebook computer with a larger screen than a Smartphone – this is how the authors of research into Mobile Internet Devices (MIDs) define them. Consumers may still be relatively unaware of this emerging class of device, but that’s unlikely to be the case for long. Global sales of MIDs expected to leap from 305,000 units shipped in 2008 to a projected 40 million in 2012, generating USD12 billion in revenue. At least that’s the conclusion of a survey by semiconductor analysts Forward Concepts, which examined the market potential for MIDs and provided forecasts for both the devices and the integrated circuits that enable them. It says that MIDs will have an unprecedented level of multimedia capabilities and typically will come in a tablet-like form factor. “In our opinion, MIDs are not designed to replace mobile phones (or Smartphones) but to be used as companion devices,” the report states.